If you are looking for a large Acreage with excellent access and all the amenities a person could want, look no further! 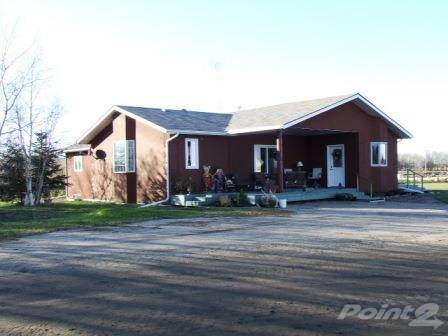 Located only 4.5 miles East of the progressive Town of Wynyard, SK, with direct access from Highway 16, is a quarter with yard site full of great features. The House has had a recent addition and renovation bringing the main floor to a total of 2160 sq. ft. and includes a beautiful Wood Fireplace with sitting area. 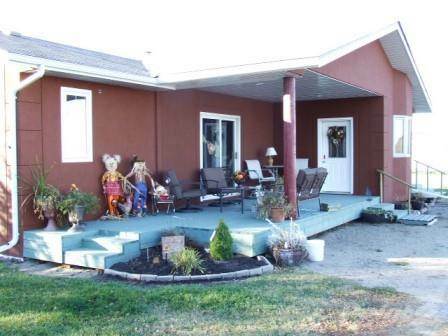 The exterior has been completely renovated with Stucco walls, 2 decks, and direct access to the basement. 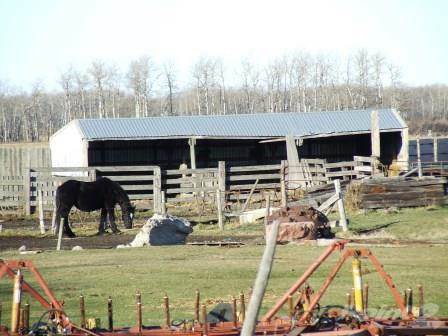 The large yard has a Corral area with 32’ x 60’ Hip Roof Barn (new 1990), 2 Cattle Shelters & 3 Water Bowls. A 40’ x 70’ x 12’ high Insulated Work Shop (new 1990) with Nat. Gas Radiant Heat, 3 Phase Power, Water & Sewer service has endless options. 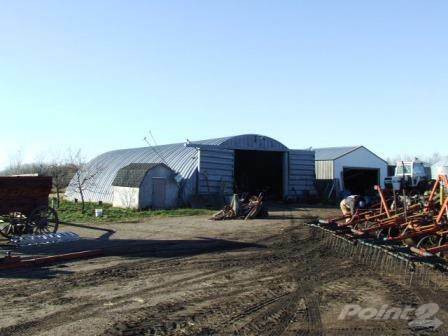 The 24’ x 26’ x 10’ high Garage, 38’ x 60’ Metal Quonset with power, Numerous Wooden Outbuildings, and Artesian Well round out this awesome yard. The land has about 20 acres in Grain, the remainder is fenced and currently in grass for livestock. 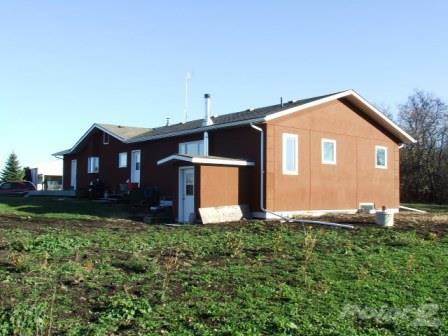 If you are looking for Acreage living this full quarter with yard is priced similar to small Acreages, at a fraction of replacement cost, and offers far more! The SW 28-32-15-W2 (adjacent) is also available, listing Agent has full details. House: 960 sq. ft. with addition of 1080 sq. ft. plus 120 sq. ft. porch = 2160 sq. ft. Bungalow. Original home had the roof removed and replaced with all new trusses and a small addition in 1985. Second addition of 1080 sq. ft. plus the 120 sq ft porch were just completed from 2012 to 2014. Exterior: All new 2012 to 2014 - Stucco – Asphalt Shingles – Metal Soffit & Fascia – Windows & Doors – Styrofoam Insulation upgrade under the Stucco on original portion - Covered Deck on East side 10’ x 28’ – Open Deck on North side 8’ x 29’. Door to the Open Deck. - Kitchen 12’ x 15’6” – Oak Cabinets – Island – Linoleum Flooring – Fridge/Double Oven Range/Dishwasher/Microwave. - Dining/Living Room 23’ x 27’6” – Laminate/Carpet Flooring – Patio Doors to Covered Deck – Wood Burning Fireplace & Sitting Area. - Laundry & ½ Bath 7’3” x 11’6” – Linoleum Flooring. 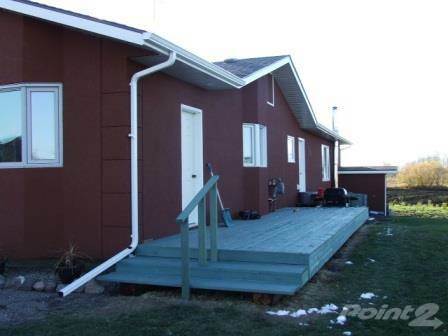 - 2nd Large Porch 9’8” x 7’5” – Linoleum Flooring – Entry Door to Open Deck. - Master Bedroom 12’8” x 25’4” – Laminate Flooring – Closet. - Ensuite 12’5” x 9’10” – Linoleum Flooring – Jet Tub – Corner Shower. - Bedroom 9’11” x 13’3” – Laminate Flooring – Closet. - Bedroom 11’6” x 11’8” – Laminate Flooring – Closet. Original Basement: – Cement Walls. \t- Storage Room with Sump Pump and 100 Amp Main Electrical Panel. \t- Central Vacuum Power Unit. \t- Nat Gas Forced Air Furnace and Nat Gas Water Heater. Addition Basement: – Treated Wood Basement – Unfinished with plenty of room for Bedrooms or large Recreation Room or Both! Wood Burner beside Direct Entry to Exterior. House Heating: Combination of Nat. Gas Forced Air & Electric Wall Heaters & Wood Fireplace & Wood Burner. House Water: Artesian Well located just North of the House with Jet Pump & Pressure Tank in the House with Water Softener, Iron Remover & RO System. House Septic: Dual Chamber Fibreglass Holding Tank with Liquid Pumpout to the North. Work Shop: New in 1990 – 40’ x 70’ x 12’ High. \t- Full Metal Exterior – 2 Walk Through Doors – 10’ x 10’ Overhead Door. \t- Full Metal Interior – Cement Floor. - Utility Room with Jet Pump & Water Pressure Tank from Artesian Well that supplies the Shop and Corrals/Yard – Toilet – Sink – Clothes Washer & Dryer. \t– Nat Gas Radiant Heat & Ceiling Fans. - Septic Service is 2 x 1000 Gallon Fibreglass holding tanks – 1 for solids – 1 for liquids with pumpout East of the Shop. NOTE: Was used as Butcher Shop. All equipment is NOT included. 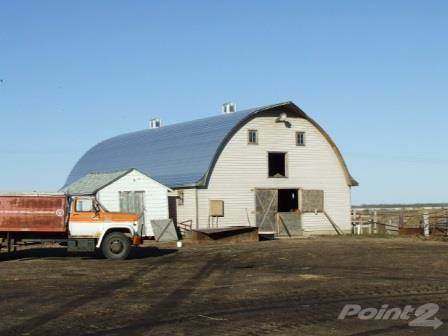 Hip Roof Barn: New 1990 – 32’ x 60’ – Vinyl Siding – Metal Roofing – Cement Floor – 13 Stalls – Full Loft – Power – This Barn is in great condition! 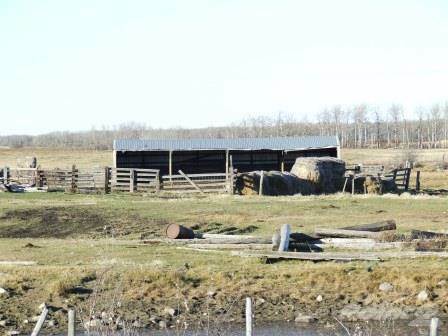 Corral Area: 2 Cattle Shelters with Metal Roofing – 3 Water Bowls. 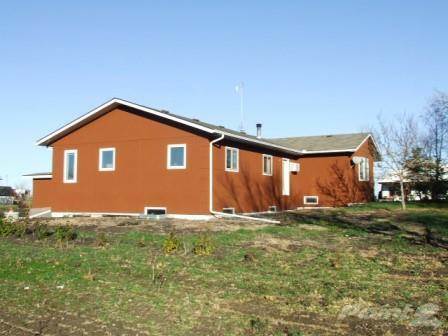 Garage: 24’ x 26’ x 10’ High – Metal Exterior – Wood Foundation. 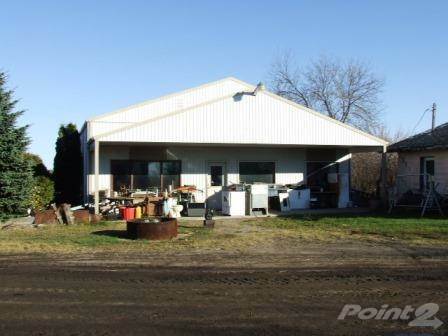 Metal Curvet Quonset: 38’ x 60’ – Cement Foundation – 16’7 Wide x 11’3” High Door – 100 Amp Main Power. Outbuildings: Numerous Wooden Grain Bins/Storage Sheds. Metal Grain Bins: Are NOT included. \t- Farm Equipment Dealers and Supplies. \t- K to 6 and 7 to 12 Public Schools. \t- Skating and Curling Rinks. \t- 9 Hole Grass Green Golf Course. 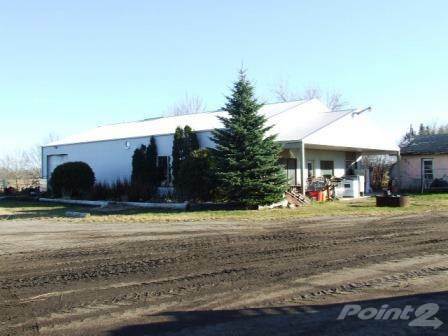 - Active business community including a new Coop Grocery Store and full service Coop Farm Supply Center. - Numerous restaurants including The Peppertree, A&W and Subway. 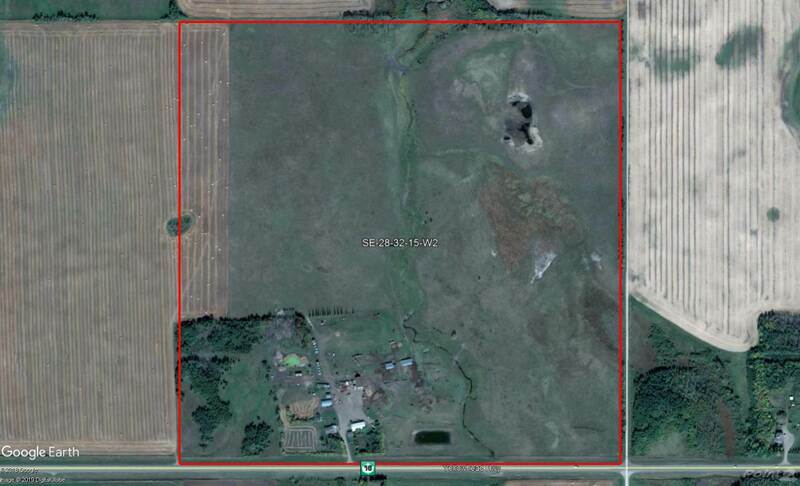 I am interested in Rm 307 Elfros - 157 Acres, Wynyard, SK. 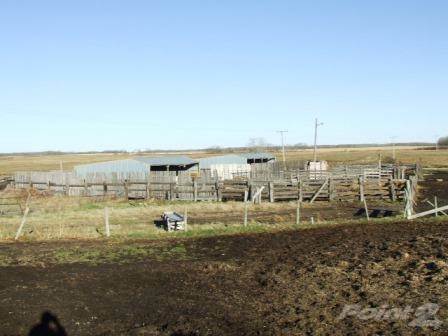 Rm 307 Elfros - 157 Acres is a 2160 square foot Farm For Sale for sale in Wynyard, SK . It has 3 beds, 3 baths and was listed on Ovlix.com since February 24, 2019 by Hammond Realty for $450,000. Listing agent: Wade Berlinic. 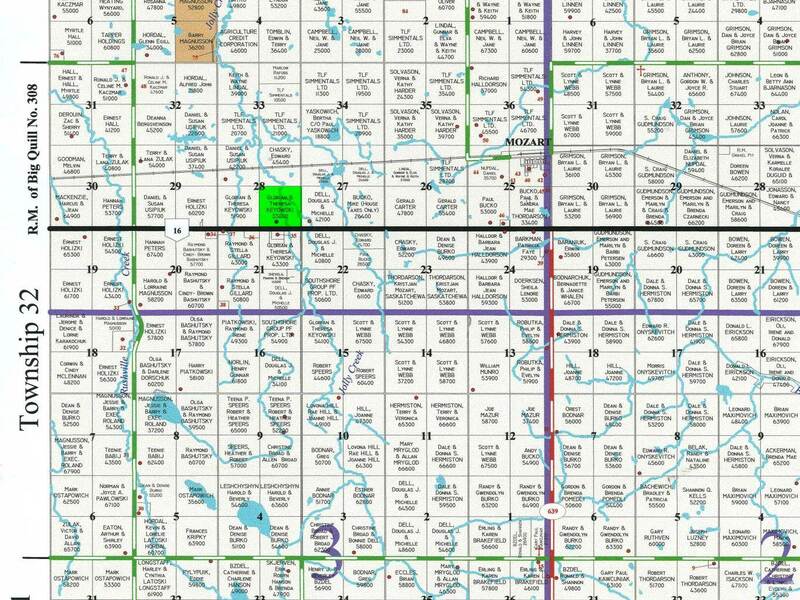 The average price for similar Rm 307 Elfros - 157 Acres real estate listings - $450,000 which is 20% lower than $565,000 for Wynyard, and 64% lower than $1,232,926 for Saskatchewan. Comparable nearby homes are: . What's near Rm 307 Elfros - 157 Acres, Wynyard : A&W, Esso, Co-op, Mozart Food Store, Wynyard Home Building Centre, Co-op, Wynyard Gas Bar, Co-op, Wynyard Agro Centre, Wynyard Airport, Wynyard Shop Easy Foods, Co-op, Wynyard Cardlock.